Santillan is an Andalucian paradise dedicated to yoga. It boasts a farm of 30,000 sq meters of peaceful countryside, surrounded by the silence of the mountains yet with beautiful sea views. Santillan provides a first class fully equipped yoga room accommodating all styles of yoga, a salt water pool, gardens and special spaces for quiet reflection and connection with yourself and others. 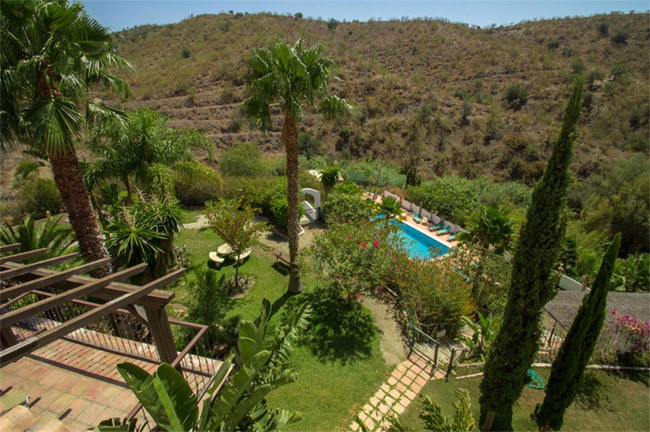 Santillan is only 25 kilometers from Malaga airport, nestled in a hill in the Rincon de la Victoria, overlooking the Mediterranean Sea. A 50% deposit secures your place. Should you cancel, the deposit is refundable – less £200 – provided your space can be filled. Bridget Woods Kramer and Leela Miller have 60 years’ combined yoga teaching experience within the UK and internationally. They teach people from all walks of life and with all levels of ability with humour, passion, care and dedication to yoga as a way of life, community and a healing art. Fly direct to Malaga, then transfer to Centro Santillan.